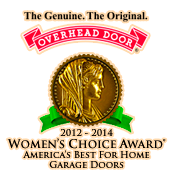 “Overhead doors are Over-designed, Overbuilt, Over-engineered” American made products. We are Overhead Door; it is what we do. We were the first, we are the best and it is our passion. We will sell no other product line, and can demonstrate our products’ unequaled durability, integrity and strengths. From the basic to the extreme and no matter how small or large the project our commitment is consistent, dependable, knowledgeable and complete. Unlike our competitors that bounce from product to product searching the requirements that fulfill their needs, we can assure that you will always receive “the Genuine, the Leader, the Best”. We firmly believe that through our products and workmanship you will find no finer or safer product to install at your business. No company will provide you with all the information and options we provide to assure you are comfortable with our knowledge and what to expect for a finished project. We will exhaust all possibilities to arrive at the finished product and investment you desire. “Overhead Door’s “Thermacore” line of residential and commercial products have been and continue to set the standard in the steel foamed in place product line. Since 1980 the “t-core” line has been and continues to be the most sought after sectional doors whether from the discriminating homeowner to commercial applications. It is a product that has withstood the test of time and durability; it is the longest running residential product line on the market. We here at ODC Tucson classify this door as our “forever door”. Because of the integrity of this product you will always be able to replace or match your door for many years to come. We have and will continue to always have replacement parts and sections for our “T-core” line. Because of its solid construction and the industry best strength to weight ratings “T-core” is adeptly suited to overlays and cladding. Its incredible strength and lightness will assure many years of dependable service. With our built/spec expertise we facilitate the entire project to the end whether it’s a custom paint application or an architectural problem you can count on us to give a definitive answer to your question. This is one reason the majority of Tucson’s best custom home builders rely on the “Overhead Door’’ brand. Don’t forget our exemplary showroom/office that will help you see and understand all we have to offer and how your products will operate.